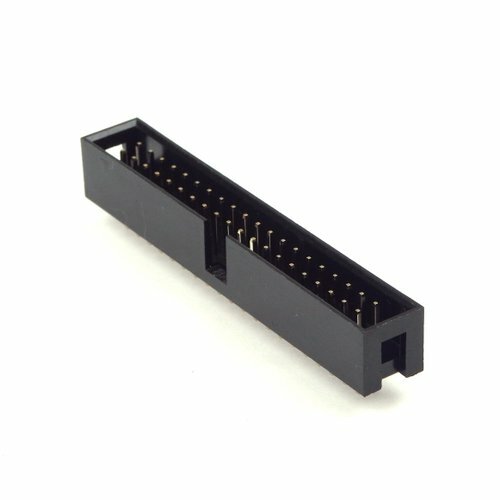 2x20 shrouded header with the same number and spacing of pins as the Raspberry Pi B+ - suitable for connecting via ribbon cable. 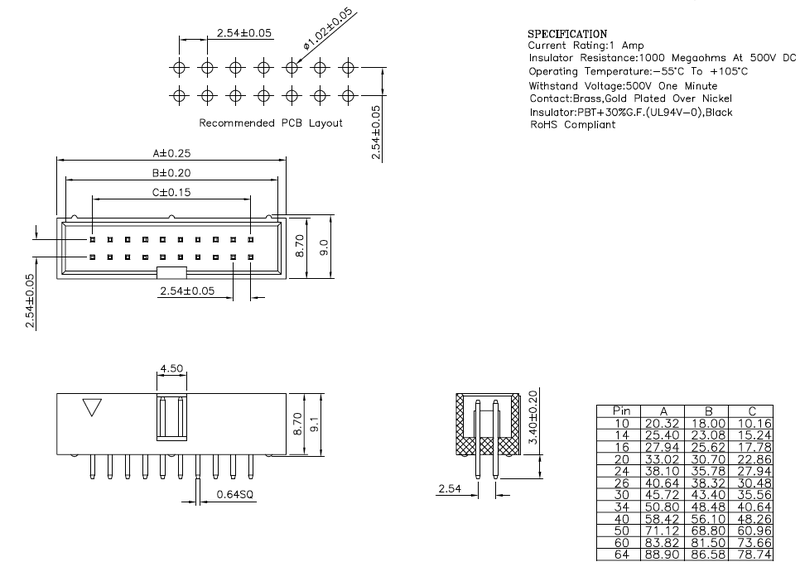 Shall be mounted on PCB for use. RoHS compliant.